PROBUS CLUBS: Meetings generally include speakers, theatre and luncheons, outings, etc. Mostly for retirees and semi-retirees. New members are welcomed. Probus Clubs worldwide work to provide regular gatherings to those retired or semi-retired business or professional people who in retirement appreciate and value opportunities to meet others in similar circumstances and with similar interests. Probus Clubs are autonomous and endeavour to be simple in structure, free of constraints and obligations of service clubs and involve members in minimal cost. Primarily provide fellowship between members. Combined Probus Club of Ashburton Inc.
Ashburton Bowls Club, 1/3 Samarinda Ave. 2nd Wed 10am. Manchester Unity Hall, 8 Main St. 1st Thurs. 10am–noon. Ph. Yvonne Roy 9890 4316.
month 10am to noon. Ph. Trevor 9877 8027. Wed. 1:15–3pm. Ph. Barry Cairns 9803 3130. North Balwyn Uniting Church. Duggan St.
3rd Mon. 10:30am–noon. Easy parking. Ph. Richard 0429 227 717. Ladies Probus Club of Box Hill South Inc.
South. 4th Wed. 10am–noon. Ph. Annabel 9898 5236. Combined Probus Club of Burwood Inc.
(Mel 61 C4). 1st Wed 10am–noon. Ph. Allan 9808 3550. Combined Probus Club of Burwood East Inc.
Mon. 10am. Easy parking. Ph. Lyle 8802 7724. Camberwell Central Bowling Club, 14 Bowen St. 1st Wed.
at 10am. Ph. Roma 9885 2309. East Malvern Combined Probus Club Inc.
Uniting Centre, 54 Serrell St. First Wed 9:45am-noon. Combined Probus Club of Whitehorse Inc.
noon. Ph. Margaret 9884 8482 or Evelyn 9762 2468. Horticultural Centre Jolimont Rd, Forest Hill. 1st Wed.
10am – noon. Ph. John 9874 2840. Tues 10am–noon. Easy parking. Ph. Richard 0411 612 464. Probus Club of Waverley Inc.
Mt Waverley Youth Centre, Miller Cres, 1st Wed at 10am. Chisholm Combined Probus Club Inc.
10am. Couples Welcome. Ph. Val or Graeme 9802 8048. Mt Waverley Youth Centre, Miller Cres. 1st Fri. 10am to noon. Ph Graham 0400 565 387 or Joan 0407 322 901. 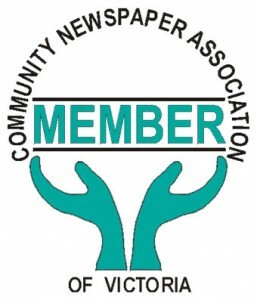 Glen Waverley Combined Probus Club Inc.
Mt Waverley Youth Centre, Miller Cr. 2nd Wed 9:30–noon. Couples welcome. Ph. Rosemary 9803 8993. Easy 3-hr parking. Fri: 10am–noon. Ph Martin 9874 3224, Loris 9878 8530. Probus Club of Mitcham Nunawading Inc.
Willis Room at Whitehorse Council Offices, 397 Whitehorse Road, Nunawading. 412 Whitehorse Rd, Surrey Hills. Ph. Celia 0403 208 940.